When I first joined Head-Fi, I can remember that portable amps were all the rage – whether you needed one or not. And very popular amongst the amp market were CMOYs – which essentially were battery powered portable amps in an Altoids tin or similar. Strangely enough I never got to try one in the last 7 years, although I was always curious. Then earlier in 2017, Head-fier xrk971 from XRKAudio contacted me and asked me if I’d like to take his amp design for a spin. I said sure, and in late November the XRK-NHB (no holds barred) A Class portable amp arrived. Since then I’ve been putting it through its paces with a variety of different headphones. 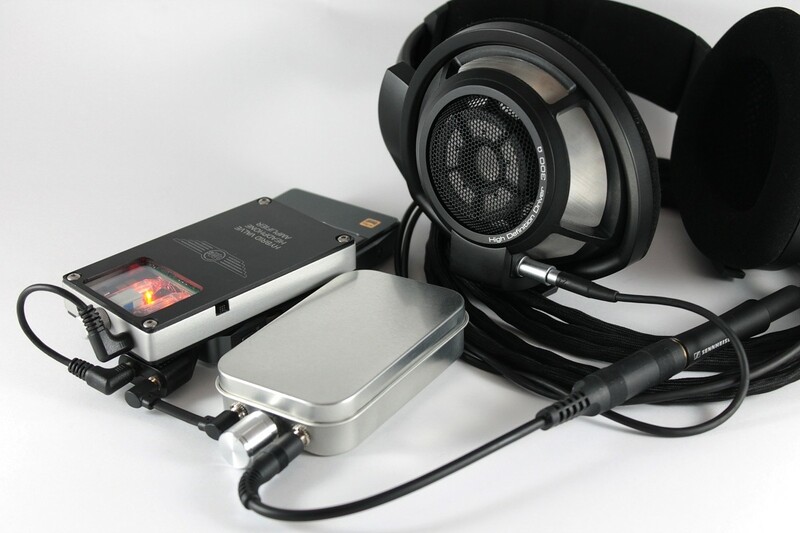 Those who follow me will know that I avoid using amplifiers unless they are truly justified (the headphones require the additional power), so what would I make of this portable Class A amp? XRK Audio was a completely new contact for me – and one which came out of the blue. 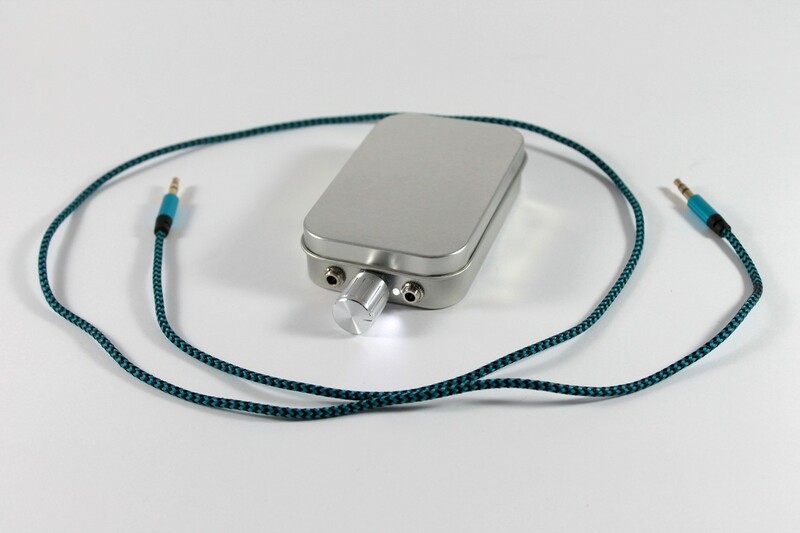 The company started as essentially a DIY project with its founder (xrk971) simply wanting to build himself a DIY portable amp as a fun project. After experimenting with the design, he allowed a few people to listen to it, and was pleasantly surprised with the overwhelmingly positive feedback. The common response was “you should sell this” – so he set up a storefront (XRK Audio) on DIYAudio and the company was born. In talking to others, I’ve found that xrk971 is very responsive to feedback, and will also work individually with his customers to customise the amp to their needs – including changing components to meet needs for a specific use. XRK Audio has a basic model A Class amp, an upgraded NHB model, and is currently also working on a desktop amp. The XRK NHB Portable A Class Amp that I’m reviewing today was provided to me gratis as a review sample. As I always do, I offered to return the amp on completion of the review, but I've been asked to hang onto it for follow uo questions or comparisons. So I acknowledge now that the XRK NHB I have is supplied and gifted completely free of any charge or obligation. I have now had the amp for approximately 5 weeks. The retail price at time of review is ~USD 199 for the standard model and ~277 for the upgraded model which I’m reviewing today. I'm a 50 year old music lover. I don't say audiophile – I just love my music. Over the last couple of years, I have slowly changed from cheaper listening set-ups to my current set-up. I vary my listening from portables (mostly now from the FiiO X5iii, X7ii and iPhone SE) to my desk-top's set-up (PC > USB > iFi iDSD). My main full sized headphones at the time of writing are the Sennheiser HD800S, Sennheiser HD600 & HD630VB, MS Pro and AKG K553. Most of my portable listening is done with IEMs, and lately it has mainly been with the Jays q-Jays, Alclair Curve2, and LZ Big Dipper. 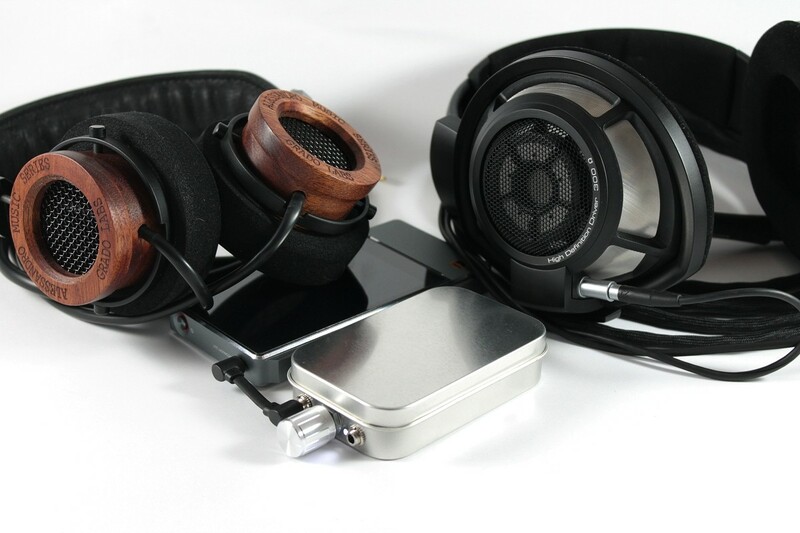 A full list of the gear I have owned (past and present – although needs updating) is listed in my Head-Fi profile. 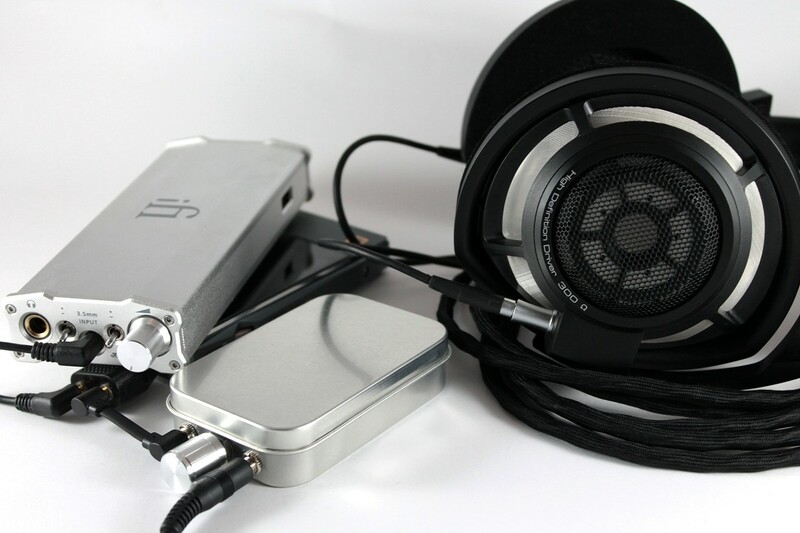 For the purposes of this review - I used the XRK NHB with a variety of my portable sources (DAPs) including my iPhone SE, and a variety of L&P and FiiO DAPs. I also varied the listening with both IEMs and full sized headphones. 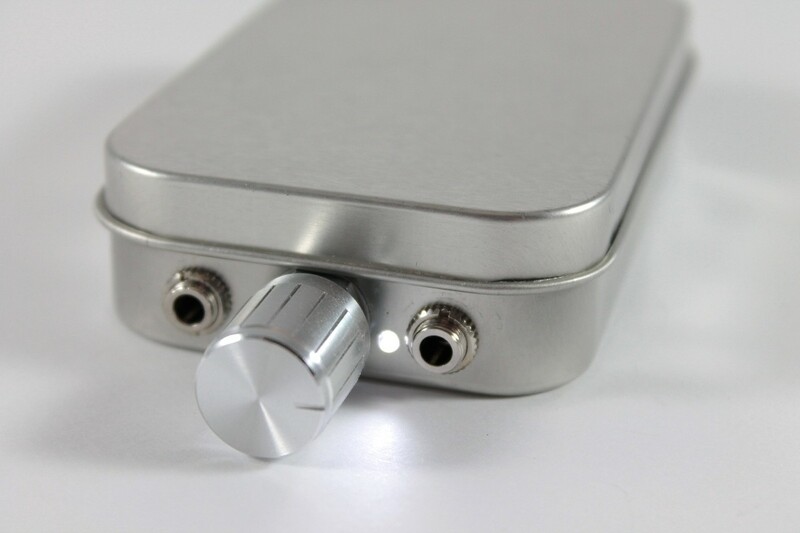 I usually list (before I start with the review) what I would look for in a portable amp. This is useful to remember when looking at my scoring later in the review. The XRK-NHB arrived in a standard but well padded courier pack. 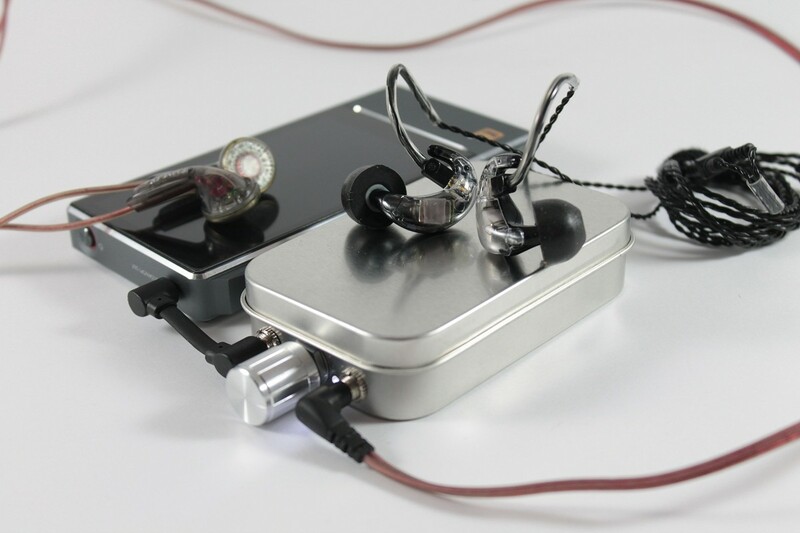 Included was the amplifier in a plan thin steel “mint” tin, and accompanied by a good quality 1m 3.5-3.5mm interconnect. These were graciously supplied by xrk971 on request. 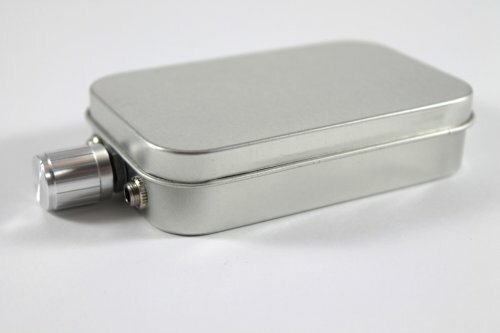 The XRK-NHB is essentially similar size and exterior appearance as the old classic Cmoy type DIY amp. 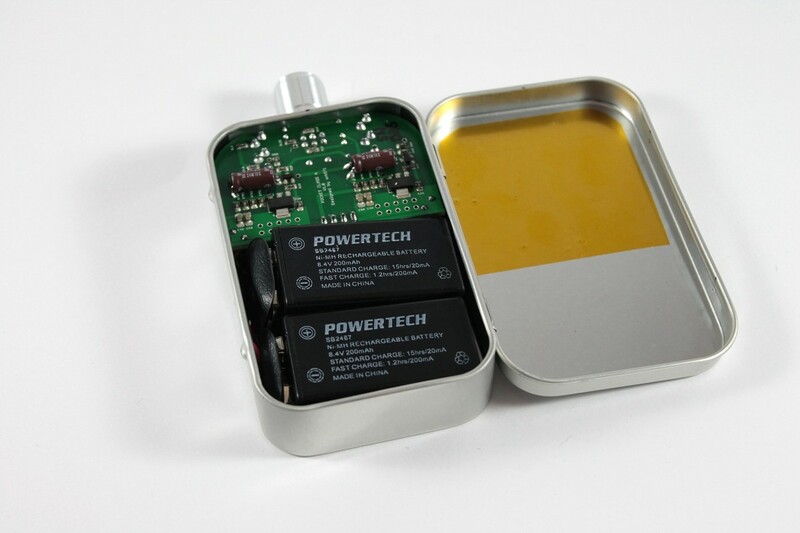 The steel tin is just your basic low cost container (I've seen some as Altoids tins – mine is just plain thin plate steel), and it belies the actual components within. The tin has a hinged lid rounded corners, and is a it bulky compared to many of the slim-line portable amplifiers now on the market. At the top is an Alps stereo pot with power switch. Either side of this are the 3.5mm Switchcraft input (left) and output (right), and between the Alps pot and headphone out is a small white LED. 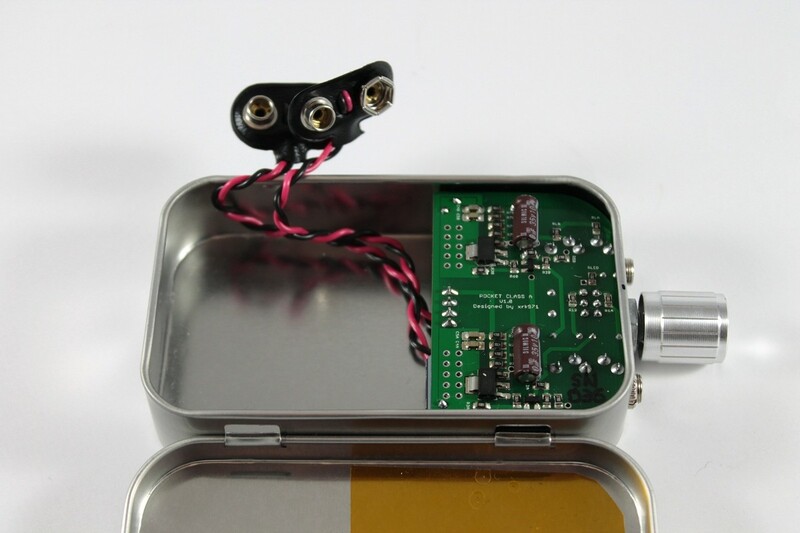 Inside the case is the amp's circuitry, and two connectors for the 9v batteries you need to power it. So lets put the NHB version through its paces and look at some real world use. The XRK-NHB is class A by design, and as a result it can get mildly warm when in use. After half an hour's use with the X7ii as source, and the HD800S as transducer, the temperature registered at just under 39° celcius on the hottest part of the amp. Definitely on the physically warm side, but nothing that is going to cause discomfort. But what does that mean in real world terms? So lets look at a few scenarios. Armed with my trusty SPL meter, I set out to see just what the XRK-NHB could and couldn't (subjectively) drive. 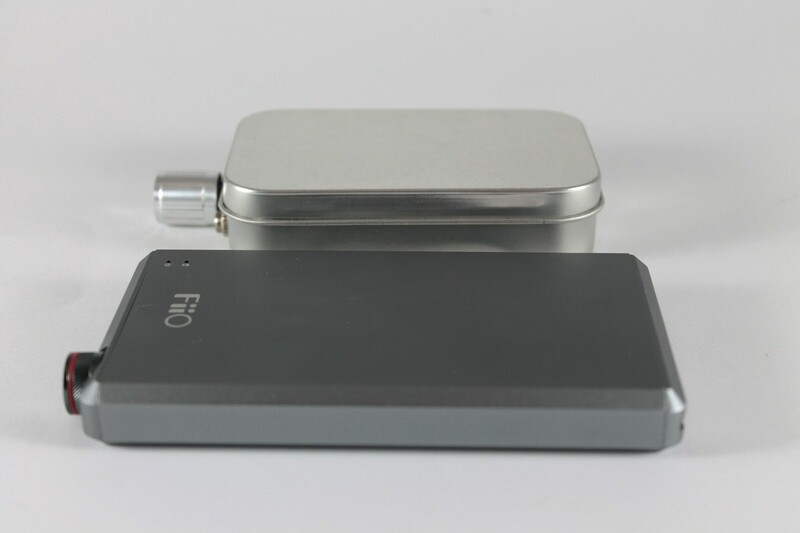 For this test I used the XRK-NHB attached to my FiiO X7ii. The XRK-NHB Alps pot starts at around 2pm and runs to 10pm (imagining the face of a clock). First up was the Alclair Curve (22 ohm impedance, 111 dB/mW sensitivity), and just shy of 3pm on the pot (or about 10% of the total pot) was able to easily get me my preferred ave 70-75 dB volume level. The sound was very clean and clear, with a beautifully subtle warmth to the overall tonality. Even thought the pot was quite low, I could detect no sign of channel imbalance. The second test was with VE's brilliant Zen2 open ear-buds (320ohm impedance, 108 dB/mW sensitivity), and this time I needed just over 3 pm on the pot (again not much more than 10-15%) to achieve the 70-75dB (this was quite hard to measure with the SPL meter – so take with a grain of salt). Again the Zen2 sounded beautifully driven with a rich smooth tonality which was also effortless in its overall presentation. First up this time was my Alessandro's MS Pro (32ohm impedance, 98 dB/mW sensitivity), and this required slightly less than 3pm on the pot (or roughly 10% of the total pot) to get to my preferred listening level. Again the tonality is simply sublime with the MS Pros, and the XRK-NHB seems to have this ability to reach into the music and simply carry me away. Time to really push the amp, and this time my 300 ohm, 102 dB/mW sensitivity HD800S. The power output specs tell me that this should be an easy job for the XRK-NHB, and that proved to be eminently true. At about 3.30 on the pot I was ionce again at my personal ideal listening level (ave 75 dB) listening to Sarah Jarosz's album “Build Me Up From Bones”. Even if I switched to Amber Rubarth's “Tundra” (which is an excellent recording, but needs a volume boost), 5pm on the pot (or about 30% of the total pot) was hitting a 75 dB average. Time to see what maxing the pot could do with the HD800S. Even with this quietly recorded track, the HD800S was measuring peaks into the mid to high 90 dB range, and with more modern music well over 100 dB. The XRK-NHB is certainly a power house! 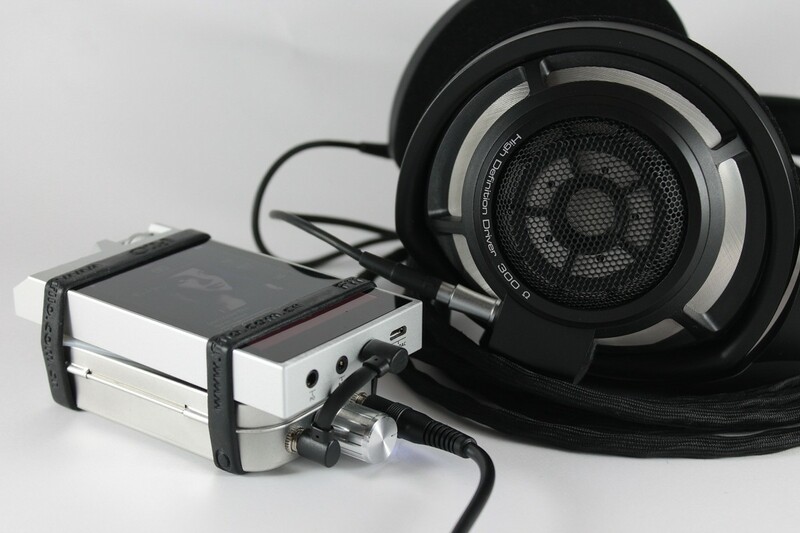 And how did the HD800S sound with XRK-NHB? Put it this way, I've just ordered some more rechargable batteries for it. I'm not one who usually uses an amp when I can afford it, but the overall tonality of the XRK-NHB – especially with full sized cans lioke the HD800S and HD600 is simply stunning. Being class A output, the XRK-NHB is a bit of a battery drainer. Its powered by 2 9V batteries, and performance will depend on the batteries you use. Unfortunately NZ is a bit of a backwater, and I was unable to find any Li-ion rechargable batteries, and its even harder in the mmodern age to get them shipped here. So I've been living with a pair of Powertech 8.4v 2000mAh NiMH rechargables. Unfortunately they only give me a little over 2 hours perfect output, and as they start running out of power, the amp starts distorting. I've ordered a pack of 4 x EBL 6000 mAh Li-ion batteries (which should arrive in 7-10 days), and they should give me close to 5 hours per pair. Personally I'd love the life to be much longer, but it is what it is, and the sonic performance is worth the outlay and the hassle IMO. Now I can understand the reference to warm / full / lean – as they are very subjective terms, and whilst I’d like to avoid their use, they are invaluable to convey true meaning. Comparing my NFB-12 to the Aune X1S for example – the Audio-gd does sound richer and warmer. 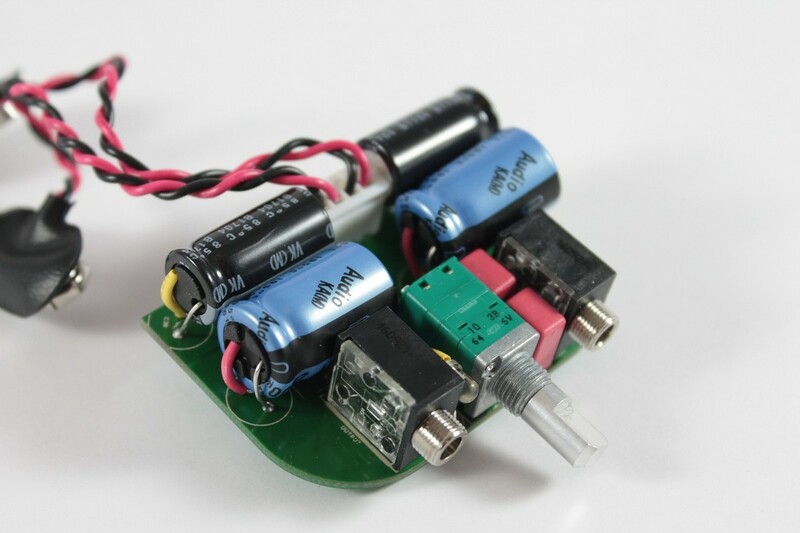 It’s the nature of the DAC and amp circuitry which is used. 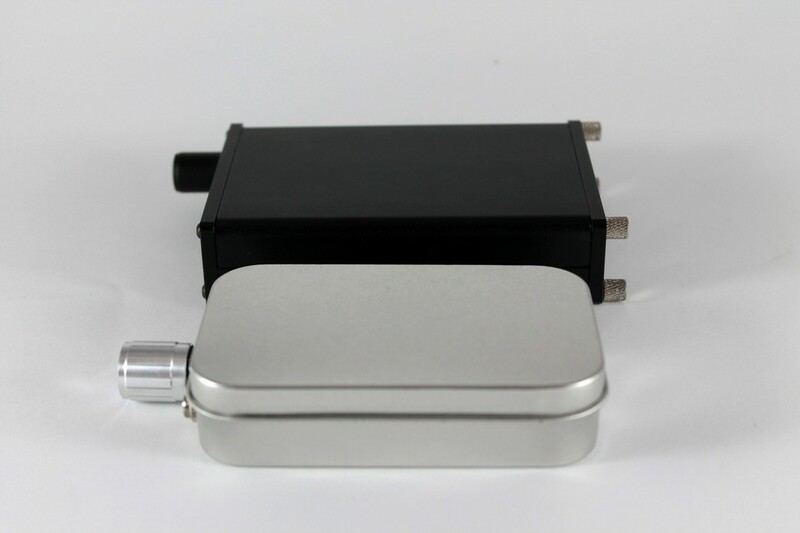 So we have that out of the way how does the XRK-NHB perform sonically, and can it match some of my other portables? The XRK-NHB is what I would describe as smooth, on the warm side of neutral, and probably as close as I've heard (from an SS portable amp) to a good tube amp. And in fact that is what xrk971 was aiming for. He wanted an amp that measured extremely well (and the SNR and noise floor measurements bear this out), was very linear in it's frequency response (check the graph below), and finally an amp which had a musical tonality – based on 2nd order harmonics (the same harmonics which give tube amps their distinct sound). This familiar with good tube amps will recognise what I'm trying to describe – an amp that is clear and clean, yet somehow retains a smooth and utterly cativating overall presentation. The thing I really like with this amp is that while its warm, its not thick and dark and over-bearing. If you do follow the links (further reading at bottom of the review), you'll get to many measurements – including proof of the linearity and very good THD. I don't generally measure distortion because the sound card I have is limited (too noisy to accurately measure noise floor – ie you'd be limited by the measurement device). 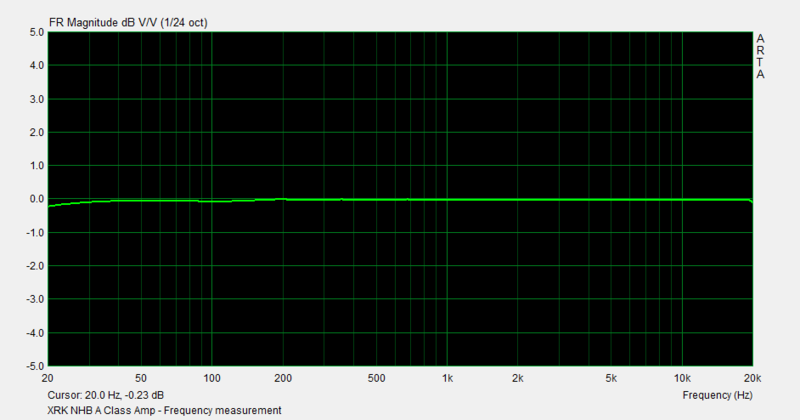 I can however measure frequency response, and the XRK-NHB is essentially flat from 20Hz to 20 kHz. This is a very linear amp. My next test was to listen and subjectively compare the XRK-NHB to the E17K (one of the most linear/neutral devices I own). 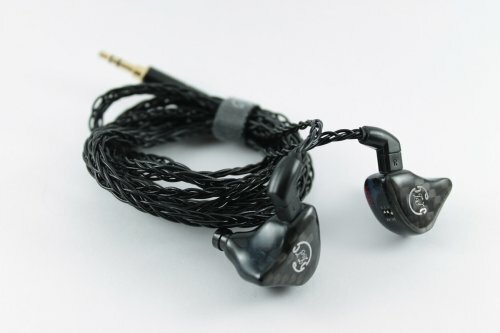 In subjective comparison, the XRK-NHB does have a richer / warmer / fuller tonality than the E17K. So what does this tell us? Simply that the XRK-NHB supplies reasonably linear, and clean output. Purely subjectively, it sounds on the warm side of neutral. It does also have a very clean background which creates a good sense of space. I thought at this stage it would be a good idea to try and compare the XRK-NHB with some alternatives. 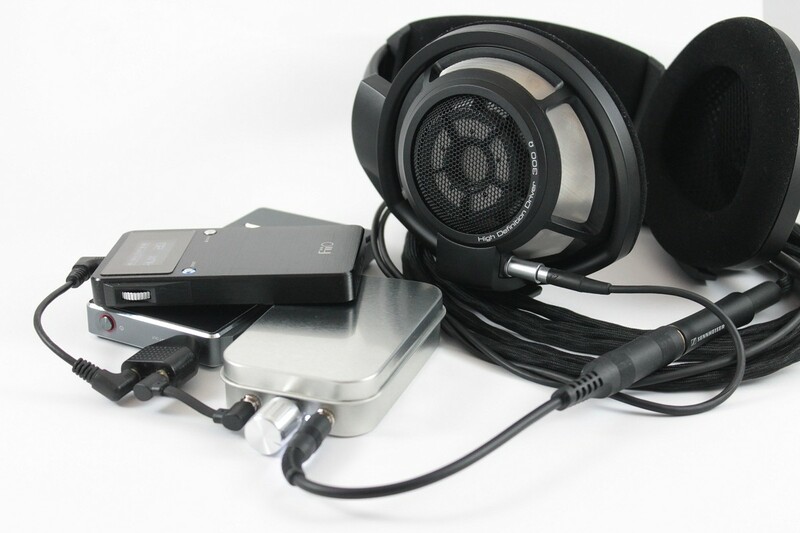 My prerequisite was that the comparable units should all be portable amps, and ultimately be capable of driving full sized headphones (such as the HD600 and HD800S). 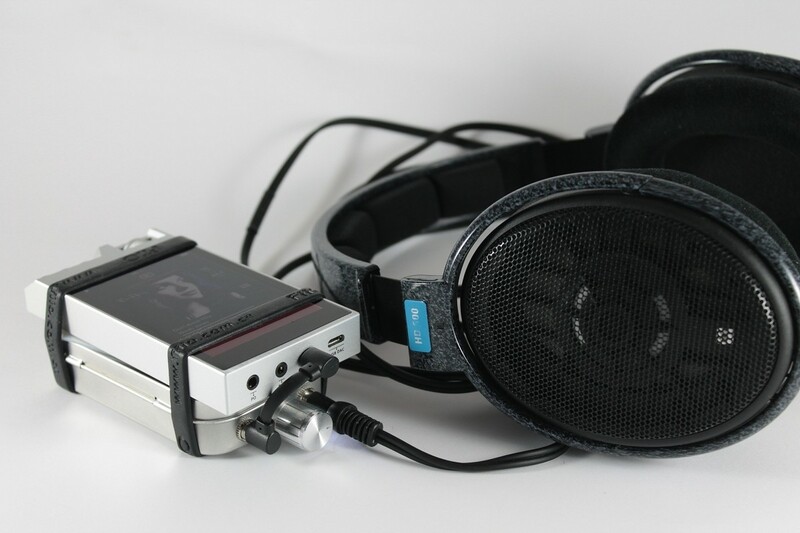 For testing I used the HD800S for subjective evaluation with the FiiO X7ii as source. I volume matched output for each of the amps using an SPL meter and 1 kHz tone, and then used a splitter from the X7ii's line-out so that I could rapidly switch the HD800S between the amps I was testing. 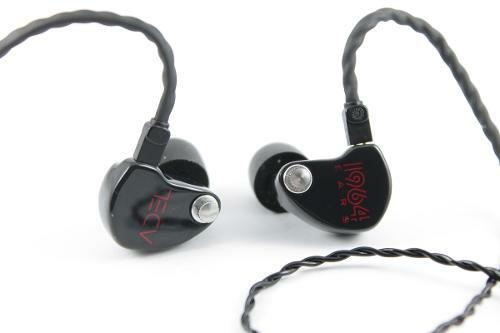 Starting as usual with build quality, the VE chassis is much more aesthetically pleasing, but the cost of this is size, and for me its not really portable (nicely transportable though). 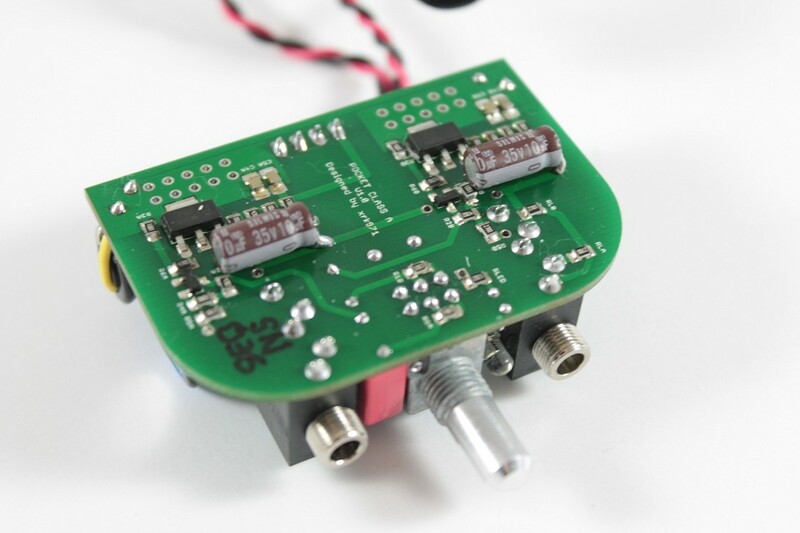 The Runabout has the benefit of gain control and also can be run on power with the appropriate DC adaptor/converter. Both can be run on 9V battery (one for the Runabout and 2 for the XRK-NHB). Battery life for the Runabout is pretty good – around 30 hours. Sonically the two both sound pretty good – very clean backgrounds, and good definition and clarity. With both of them I'm only at around a qurter of the pot too. The big difference is in the smoothness of the presentation, and the XRK-NHB just sounds effortless with the HD800S in this direct comparison. The Runabout still sounds pretty good with the HD800S, but as soon as I switch there is that instant “connection” with the music – its difficult to desribe – it just sounds right (and it is very addictive). 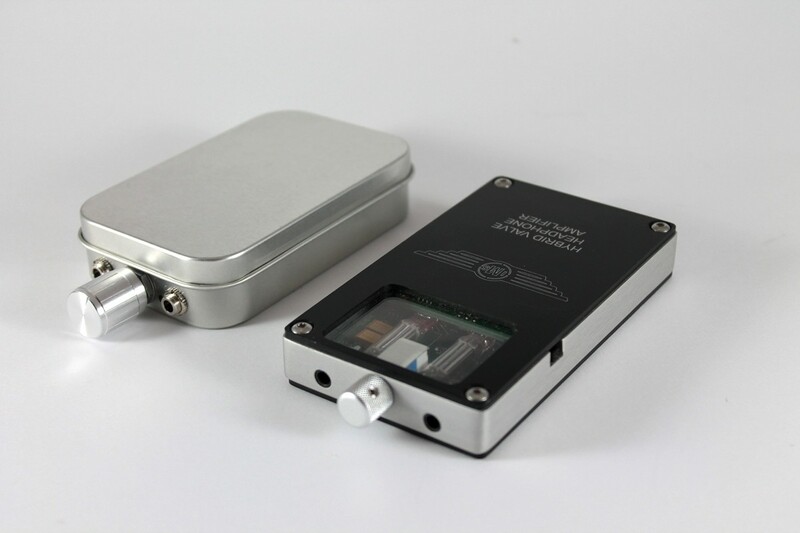 The IMS HVA is a vacuum tube portable hybrid dac/amp developed locally by an engineer in NZ. It's actually a pretty cool amp, and once you get over its pecularities, it both looks and sounds pretty stunning. It does have a very good DAC on board, and runs off an internal rechargable battery (providing around 10-12 hours use). It's main issue is that it is very easy to overdrive the valves, and so for most DAPs, you really need a source where you can run at 75% of it's line-out. It has a gain switch also. Both are a good size for stacking. Tonally both sound very similar, and this is definitely the second order harmonics of the tubes on the HVA giving a comparable output to the created harmonics of the XRK-NHB. Both have a very good SNR and appreciably black noise floor. The difference for me is that the HVA has slightly more thickness to notes, where the XRK-NHB is just a little clearer. Both appear to drive the HD800S rather well although the bass from the XRK-NHB is either delivered a little cleaner or in slightly more quantity. I really like the HVA's tonality, but in this comparison, the XRK-NHB just (again) manages to connect with me a little more. 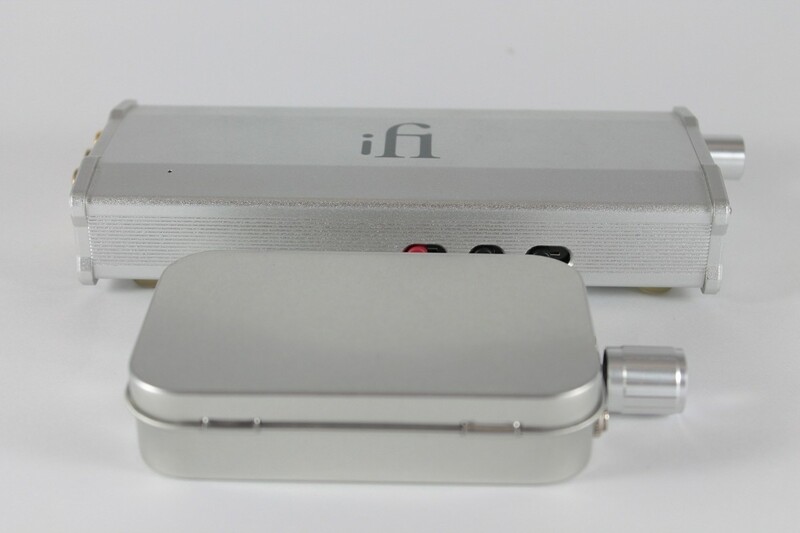 The FiiO A5 is their premier portable amp. 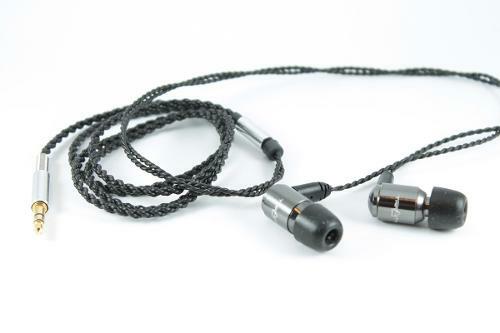 It has a beautifully sleek design, and is a real power-house, with the ability to put 150 mW into the HD800S at almost 15 Vp-p. It has extremely good battery life (13h), excellent measurements, hardware bass boost and gain, is very linear. It is slightly thinner than the XRK-NHB, but has a slightly larger overall footprint. When I started the comparison, I first listened to the A5, and was once again surprised by how good it sounds with the HD800S. I had Norah playing, and could have quite easily just stopped for half an hour and enjoyed the music. But I had to switch, and I was expecting this comparison to be subjectively close. It wasn't. The A5 is excellent – clean, clear, engaging – everything you want an amp to be. The XRK-NHB is just in another realm – smooth and enveloping, and the bass once again seems deeper. I could live with either amp quite happily – but based purely on sounds, the XRK-NHB takes me deep into the music, and into places I simply didn't know existed with the A5. This is my main desktop amp and DAC. 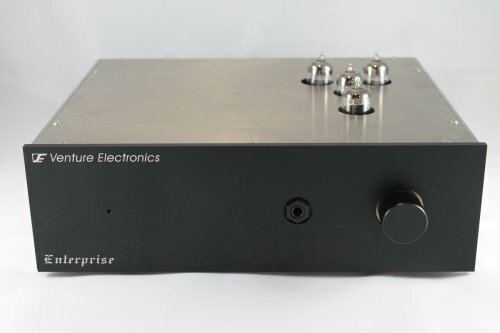 I've had it now for around 2 years, and although I've tried many different amps and DAC/amps since I got it, nothing has been able to match its combination of footprint, features and tonality for its asking price. Its a little on the warm side of netral, so this comparison is a good one. The iDSD is at least twice the size of the XRK-NHB, so I'd personally consider it transportable rather than portable. It's best features are the switchable gain settings which allow you to drive many demanding headphones, or the most sensitive of IEMs. It also comes with a very good Burr Brown DAC and has a subtle bass boost and ghardware DSP for speaker emulation. It is of course wonderful with the HD800S (although it was bested when I used it as a DAC and also VE's Enterprise statement tube amp). The XRK-NHB doesn't get to quite these lofty heights, but it does easily keep up with iDSD subjectively. Both have an easy armth while retaining clarity and depth. The XRK-NHB is the warmer of the two, and appears to have a depth of tonality which I would have to say I actually enjoy more than the tonality of the already excellent iDSD. Listening to this now, I can't but help wondering how good a desktop amp from xrk971 would be, especially if it was an all in one with a nice chassis, decent DAC etc. How do you make a call on this? You can buy a standard kit with everything you need for just $99 and build it yourself. For approx $140 you can get a prepopulated standard kit, or $160 for a prepopulated NHB kit. Standard matched FETs (4) will set you back $19 or $32 for the NHB version. But if you're like me, and just want the amp – then you can get a compeltely prebuilt and tuned amp for $199 for the Standard version, or $277 for the NHB version. The best part about doing things this way is you get personalised tuning – ie suited to your individual needs. 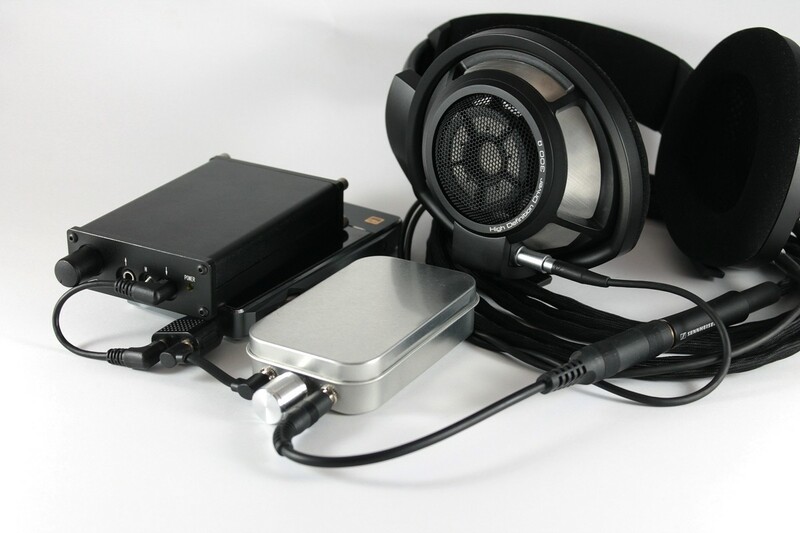 Xrk971 hand-tunes the resistor network for best sound and harmonic profile, and does this with your own cans in mind. With this amp, I told him I had the HD800S and HD600 and I've got something which matches those cans beautifully. 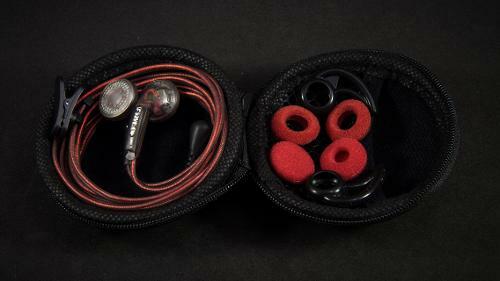 For others he's even tuned specifically for sensitive IEMs like the Andromeda. 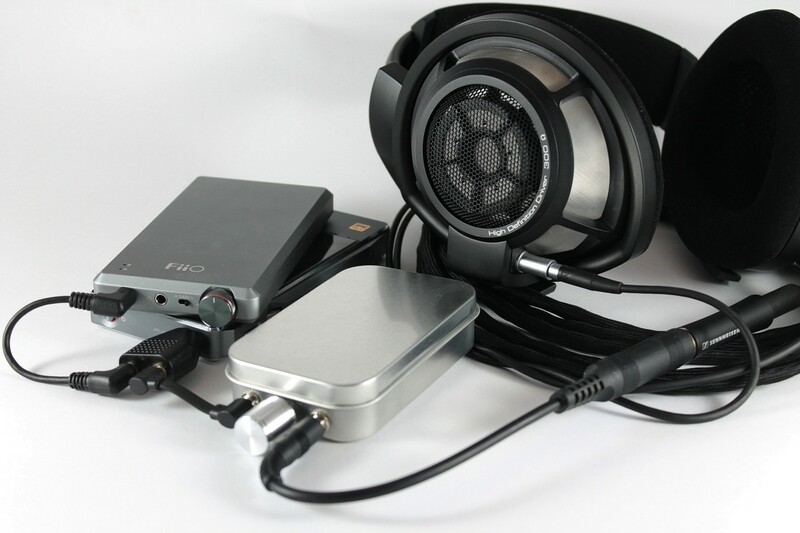 Other popular tunings include bnoth the HD650 and LCD2. If you showed me a picture of the XRK-NHB, quoted its price, and told me that it has poor battery life, very basic operation, and no real feature set common to a lot of portable amps, I'd probably tell you to peddle your wares elsewhere. I am so glad that xrk971 approached me to try this amp. It has quite simply been a revelation for me. 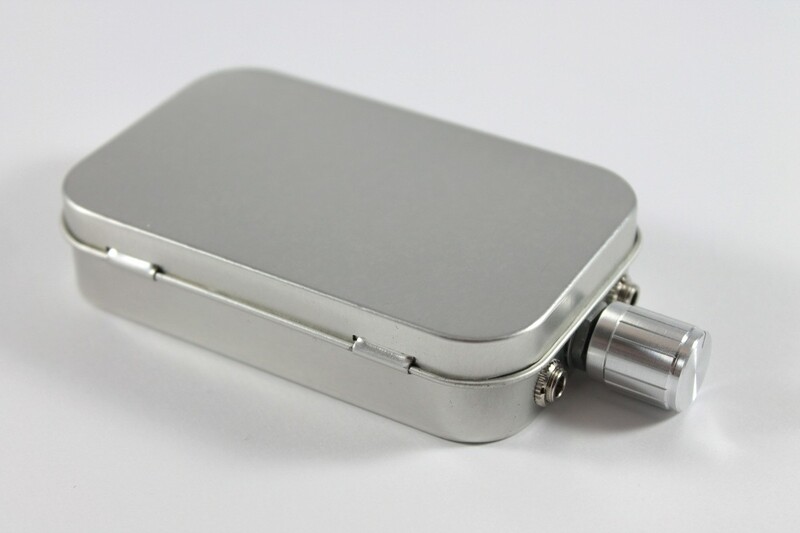 At a glance, the XRK-NHB is an A-class amp in a C-moy type tin. It runs on a couple of 9V batteries, and depending on the batteries you use, you'll get anywhere from around 2-5 or 6 hours life. It'll easily drive anything up to about 300 ohms (although xrk971 says it doesn't do quite as well with low impedance low sensitivity headphones). It has very good specs including an impressive SNR and noise floor. Distortion numbers are pretty good too, and xrk971 has pruposely designed the amp with 2nd order harmonics in mind (similar to very good tube amps). The magic starts when you pair it with a decent headphone. I've compared the XRK-NHB to a liot of my amps over the last month and consistently come away impressed. For someone who only uses a portable amp when he absolutely has to, I'm becoming someone setting up a permanent portable stack with the XRK-NHB as center piece. Is the amp perfect? No – its still a pretty basic looking amp, and the battery life is poor by today's standards. But it sounds better than most of my portable set-ups. The clincher for me was when I used it with the L3 and compared it to L&P's LP5 Gold. Yep – the ~ $600 combo sounded on par with a DAC/amp more than twice its price. I would recommend this amp without hesitation – and especially if you are a tube lover. I've used my objective scoring chart (for consistency), but the score for me means nothing at the end of the day. This one is a keeper. I just want to close with thanking xrk791 for arranging the review sample. Basically – I'd pay reasonable money for something with a few more features. Something to think about anyway. dhruvmeena96, stellarelephant, brownOut and 4 others like this. Another excellent and inspirational review. I know exactly what you mean about getting a "connection" to the music with this amp. Just effortlessly direct and engaging.